One of his clients said: "Andrew’s gorgeous, inside and out! He’s a brilliant Vet, compassionate, super-intelligent with an incredible sense of humour. My dog was euthanised recently, he helped me cope by making me laugh, I’ll love him forever for that! He’s tall, dark, SINGLE, did I mention gorgeous? The camera would love him!" The sweetest man ever and so handsome !!! Wow. You are very handsome and a natural in front of the camera. Is it always something you have wanted to do? Sorry about the bags under my eyes.....they aren't even Louis Vuitton! We dont need to care about our wellbeing when we know dr Andrew will be there for us no matter what!! You look like an amazingly skilled and talented person who loves what they do. Can see that you are passionate. Wish you were closer to Perth so could see you with my pets. Have dealt with many vets but none as positive as you. My pick. Thanks so much for that comment- it especially lovely receiving such a nice comment from someone that I don't know, and it is heart-warming to me if you can perceive those character traits in me from the stuff I have posted....thankyou!!!! Yes I am passionate about many things, and positive too. Life is there to be lived, and it is up to us how we choose to do that. Everyone's circumstances are different obviously, and we all have our ups and downs, but overall I think if we try to make the most of what we have, and have fun in process, that is pretty much the basis of how I try to approach things. Thanks again waggywashwa! As my email name 'rosey faced' suggests, Dr Andrew found for me the 2 most beautiful parrots: if you know about these love birds, they love you back. This goes full circle as my adoration for Andrew also never ceases. 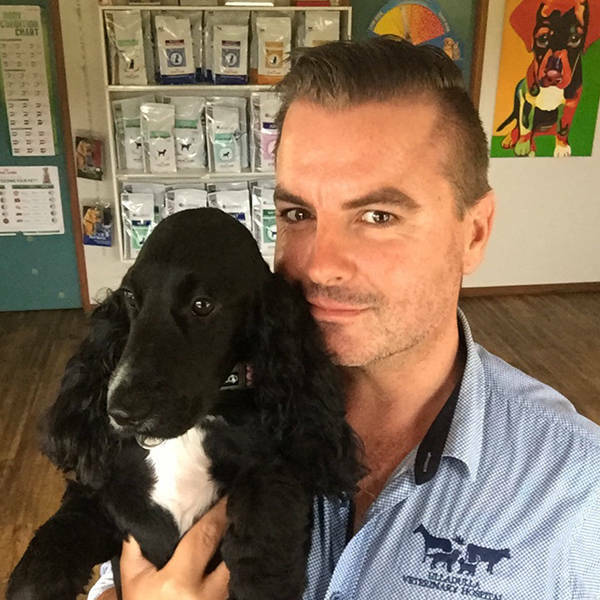 Loving all your photos, videos and anecdotes, they prove what a versatile and caring Vet you are, and how much your clients love to make YOU laugh as much as you make THEM laugh! You're number 1 in my books Andrew, I hope you get to final 5! Thanx for the great pics. Haha it was meant to be a more cute G-rated, hug the dog pic than a tinder profile style selfie shot.....ooops if this looks a bit much! I do love cuddles and licks from my sweetheart Lolli though, thanks travelprince!